Clooney Steps Back from Catch-22 Role, Kyle Chandler Cast! George Clooney has stepped away from the role of Colonel Cathcart in Hulu’s six-part limited series Catch-22 to take on the smaller role of Scheisskopf while remaining Executive Producer along with Grant Heslov. Assuming the role of Colonel Cathcart will be Kyle Chandler, winner of Outstanding Lead Actor in a Drama Series for Friday Night Lights. Clooney, producing partner Grant Heslov and Ellen Kuras will direct the series. The Lies That Bind Trailer: Bloodline: The Final Season! The secrets, the lies, the guilt, the coverups… It’s all lead to this. Get a first look at the Rayburns’ final journey in the trailer for the acclaimed drama’s third and final season. 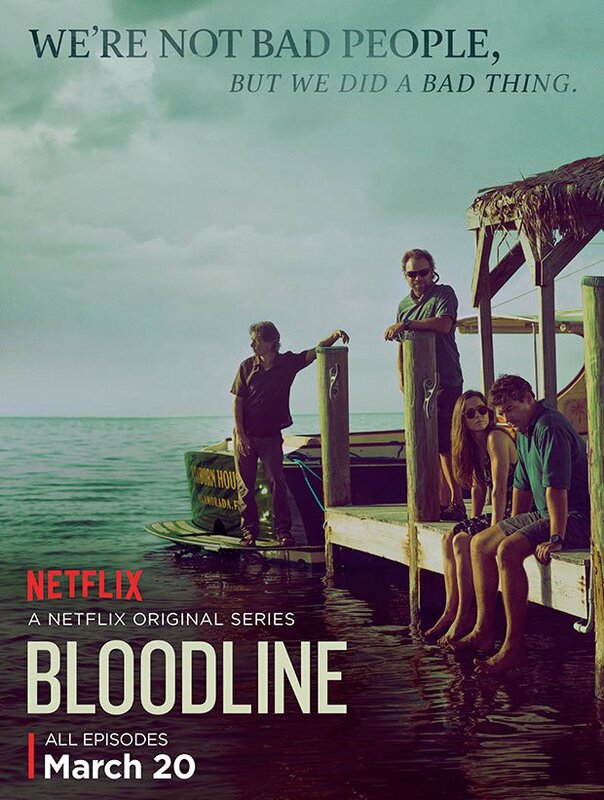 For more on Bloodline — launching Friday, May 26, everywhere Netflix is available — visit netflix.com/bloodline. Netflix’s Bloodline returns for its third and final season on May 26th. If it’s been a while since you watched the first two seasons and need to refresh your memory – without re-watching the show’s first 23 episodes in their entirety – Netflix has put together a dandy little four-and-a-half-minute recap video just for you. If you’ve never watched Bloodline but are curious, the video is, essentially, one hundred percent spoilers – but lacking a lot of context. Two Choices/Date Announcement Trailer: Bloodline! From Bad To Damned Trailer: Bloodline: Season 2! Check out the trailer for Bloodlines: Season 2 following the jump. Bloodlines: Season 2 premieres on Netflix on May 27th. Familial Featurette: Meet Bloodline’s Rayburns! Netflix has posted a behind-the-scenes featurette that introduces us to Bloodline’s central characters, The Rayburn Family. Right now it looks like Bloodline is likely to be a slow burn, high emotion saga of a family struggle in the Florida Keys. Coming from the creators of Damages, and with a cast that includes Kyle Chandler, Sam Shepard, Sissy Spacek, Ben Mendelsohn, Norman Leo Butz and Linda Cardellini, that could make some potent viewing. Check out The Rayburns after the jump. Bloodline premieres on March 20th. Netflix’s Bloodlines has a cast that can only be described as all-star, and a setting that seems idyllic. As you might expect, all it takes is the arrival of one person to upset the applecart and suddenly a family’s secrets threaten to bubble to the surface – to the worst possible effect. The first trailer for Bloodline has just been made available and it looks like it could be another big hit for the streaming service. Check it out after the jump.